I think that “horribly tragic and not funny at all” t-shirt that I once got that said, “What Happens in Vegas, Stays in Vegas” was incorrect. I seriously hate it when my t-shirts lie to me. It’s very disrespectful. 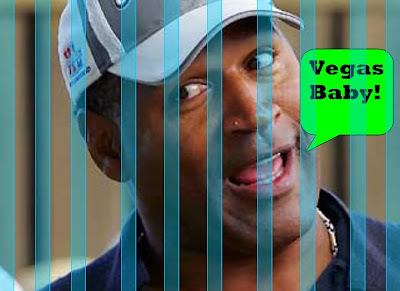 Anyway, OJ Simpson was just arrested in Las Vegas by Las Vegas police (go figure) for investigation into alleged armed robbery at a hotel in Las Vegas. However, no one is really clear on the charges. I just assumed they’re trying to still get him with murder charges, but we’ll see. Technically, do you really need to be “armed” to be OJ Simpson and to rob someone? I’d think that just having OJ break into your place with a bag of feathers and glitter would be horrifying enough. I’d just pretend to already be dead. That, my friends, is why it’s always important to carry ketchup packets with you. You never know when you’ll need to play a stab victim. You just never know. Words to live by. Do what you will with it.